Keith Posley took over as Milwaukee Public Schools interim superintendent in May. WUWM's Education Reporter Emily Files. Posley has been with MPS for close to 30 years. He was a teacher, then a principal, and gradually moved up the administrative ladder. 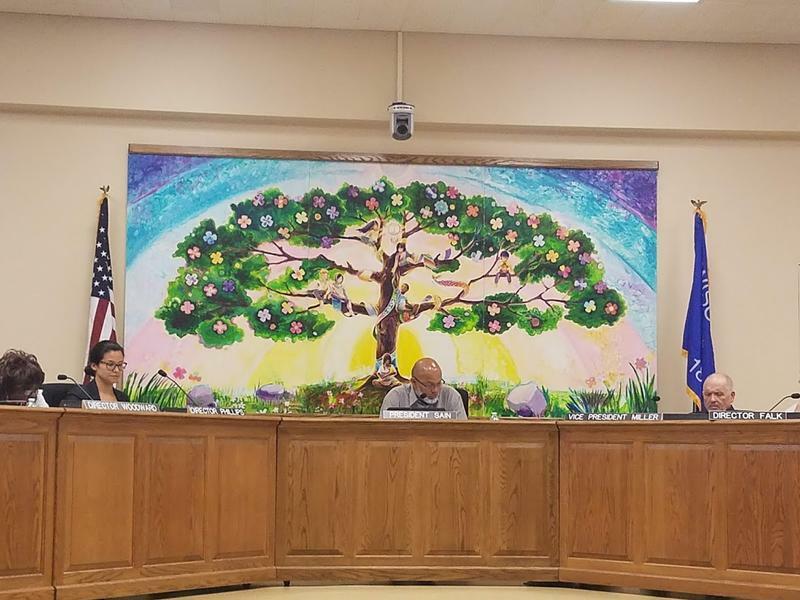 School Board Member Terry Falk says Posley’s experience distinguishes him from previous superintendent Darienne Driver, who left in May for a job in Michigan. Driver’s budget decisions favored central administration. Posley’s favor classrooms. 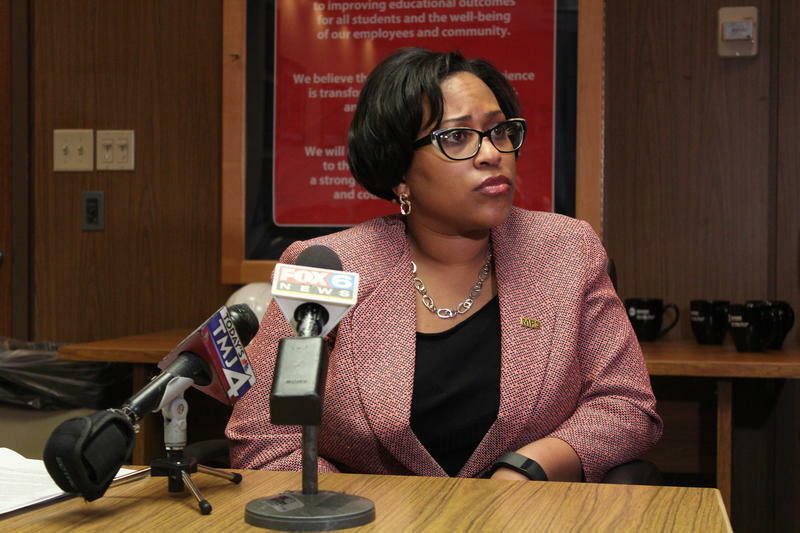 Driver defended her proposed 5 percent reduction to classrooms in the most recent budget by saying unpopular changes were necessary because of a gaping budget deficit. But when Posley took over, he changed course. He directed money back toward classrooms and made a $13 million cut to central office administration. "My goal is not to cut classrooms, because that's truly where the rubber meets the road for the learning process," said Keith Posley. “It was almost a 180 [degree] reversal,” said Milwaukee Teachers Education Association President Amy Mizialko. The teachers’ union was immediately supportive of the move. MPS teacher morale seems to be improving, at least partly due to the new leadership, according to Mizialko. Even if budget issues persist, Posley says he wants to maintain current levels of per-student spending. “My goal is not to cut classrooms, because that’s truly where the rubber meets the road for the learning process,” he said. On the first day of the early start school year, Posley announced a lofty goal: for MPS test scores to skyrocket and surpass the state average. But there's a lot standing in his way. More than 75 percent of MPS students are economically disadvantaged. Like the city, schools are highly segregated. Posley thinks buckling down on the core subjects could help students succeed despite challenges. He calls it the ‘Ambitious Instruction Plan’ – a framework to enhance reading, writing and math instruction. He says his experience as principal of Clarke Street School illuminated the importance of core classes. Interim Superintendent Keith Posley talks with WUWM's Emily Files on Lake Effect. Emphasis on core subjects is a district-wide project. But Posley is also funneling resources to a cluster of schools in one of the most segregated and impoverished zip codes — 53206. If Posley’s moves don’t seem short-term, that’s for a reason. He says he "absolutely" wants to be permanent superintendent. And he appears to have a good chance. School Board President Mark Sain says judging by Posley’s performance so far, he deserves a shot at the permanent job. Board member Terry Falk is also open to Posley staying in the superintendent position. But he warns against viewing any one leader as the savior of a school district. Milwaukee Public Schools middle and high schoolers, along with some younger students, began their school year Monday. 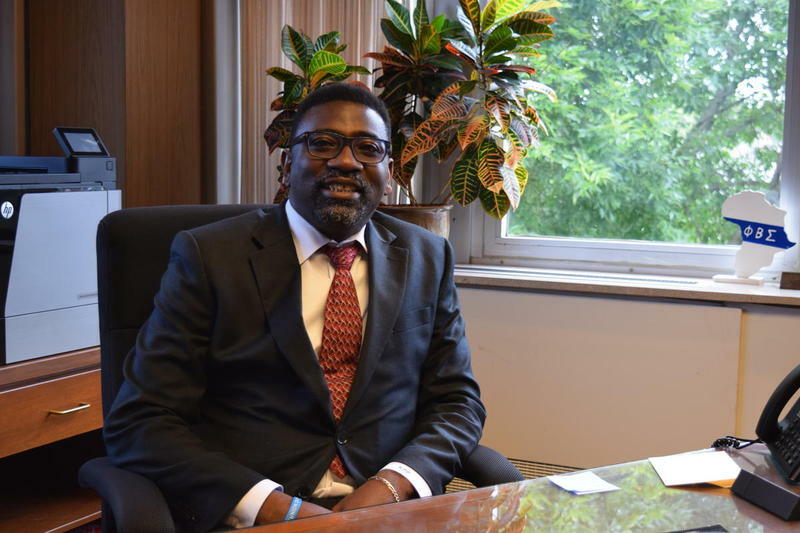 With the new school year comes a new interim superintendent, and Keith Posley has ambitious plans for the district. 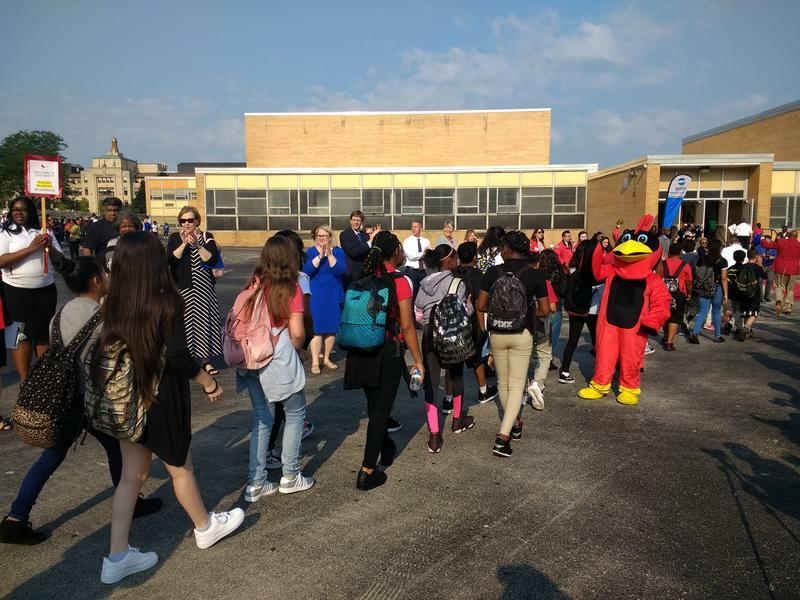 Monday morning, students were welcomed with fanfare to Audubon Technology and Communication Center on the southwest side. Students filed down a red carpet while the drumline played. Some exchanged high-fives with Posley, teachers, and school board members, while others stared intently at their phones.